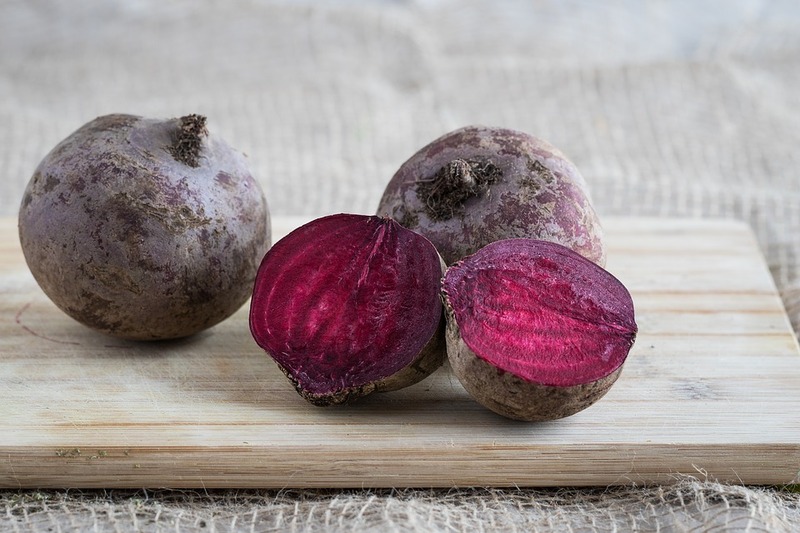 I never thought I liked beets as a kid, but when I got a bit older I tried them again and they became a favorite vegetable. Beets do take about an hour to roast, so consider making them on the weekend for meal prep ahead, or on a weeknight you have a bit more time. You could buy them at the farmer’s market or grocery store, roast them, chop them up, and use them in recipes all week long! I absolutely love using one ingredient multiple times, especially when it is something as filling and delicious as beets. This recipe would make an excellent side to a variety of main dishes. Enjoy! 1) Wrap the beets individually in aluminum foil and place them on a sheet pan. Roast them for 50 minutes to 1 hour, depending on their size, until a small sharp knife inserted in the middle indicates that they are tender. 2) Unwrap each beet and set aside for 10 minutes, until cool enough to handle. 3) Peel the beets with a small, sharp knife over a piece of parchment paper to prevent staining your cutting board. 4) Meanwhile, whisk together the vinegar, olive oil, mustard, 2 teaspoons salt, and 1 teaspoon pepper and set aside. 5) While the beets are still warm, cut each one in half and then each half into 4 to 6 wedges and place them in a large mixing bowl. As you’re cutting the beets, toss them with half of the vinaigrette (warm beets absorb more vinaigrette), 1 teaspoon salt, and 1/4 teaspoon pepper. Taste for seasonings. 6) Place the spring mix in a separate bowl and toss it with enough vinaigrette to moisten. Top with the beets, almonds, and feta cheese. Drizzle with additional vinaigrette, if desired, sprinkle with salt and pepper, and serve warm or at room temperature. Recipe from the USDA Mixing Bowl, available here. Faithful Families 2016 Summit - Register Now!